Today, we were joined by students from the Pioneer Valley Chinese Immersion Charter School in the morning and several great volunteers in the afternoon. 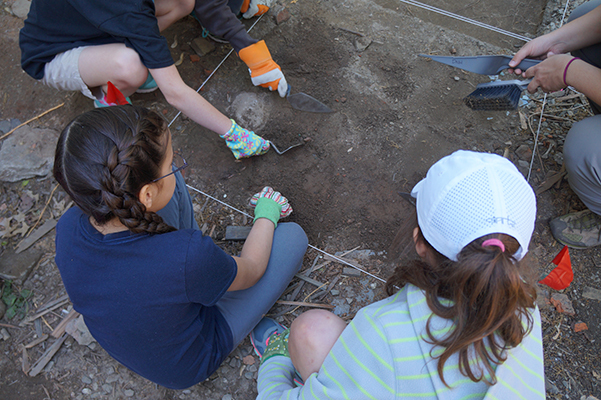 Some students got the chance to open up a brand new unit beside an earlier excavated one. We now have twice as many units open in the back yard of the house with some exciting and intriguing features appearing in many of them, including soil stains and brick piles! We are finding many nails, brick and plaster pieces – all of which might tell us how the house has changed over the past two hundred years, especially considering that there aren’t many bricks on the building today. Over in our field lab, students had the chance to start processing some of the artifacts we’ve uncovered over the past few days. Plenty of dry-brushing and ceramic washing to go! 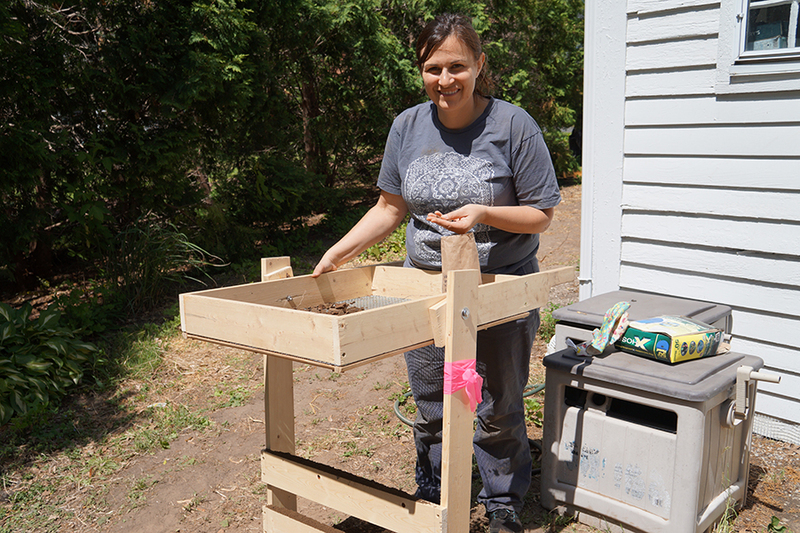 Mary has been leading the school groups in activities to learn about some of the most important work that we do as archaeologists- sorting, identifying and cataloging what we find so that we can answer our research questions about the site’s history. Tomorrow we will have our first community day on the site from 10am-2pm, with plenty of activities planned for all ages. Hope to see you there – and don’t forget to wear your thinking caps (and sunscreen)! 4th grade students from PVCICS carefully trowel for artifacts. Volunteer Stephanie screens for artifacts.